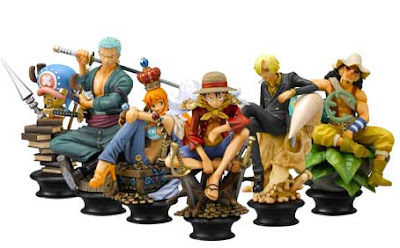 Megahobby, a Japanese company who used to produce a popular range of Chess Piece Collection games, have made the decision to bring back the series. 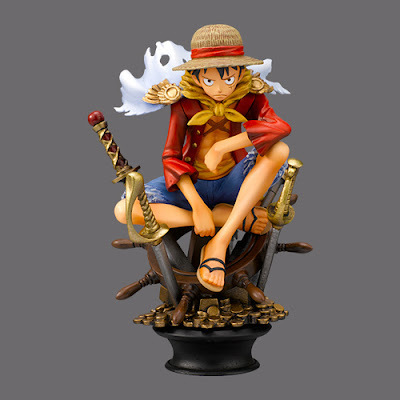 This relaunch will be started with the popular anime series One Piece getting the chess game makeover, which will be released in April. 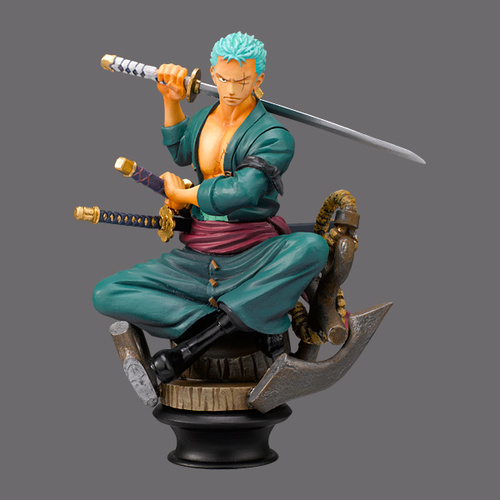 As you can see, all the pieces are very well crafted and painted with such attention to detail that this would make a perfect present to any anime otaku, One Piece fan or not (i personally haven't watched much of One Piece but i love how this set looks). All of the pieces measure at 3.5 inches (90mm) and come with either a black or white base. 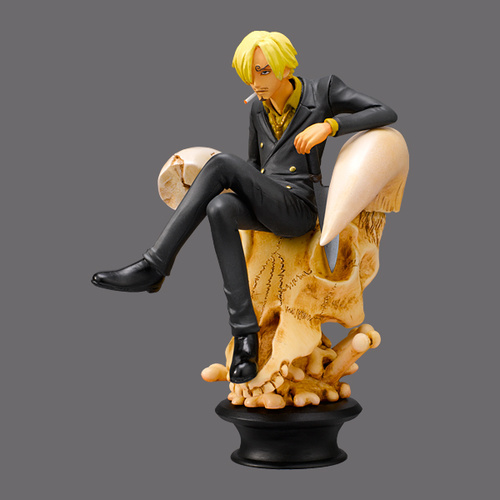 There are also some close-ups of the pieces below, where you can really see all the detail put into these pieces. 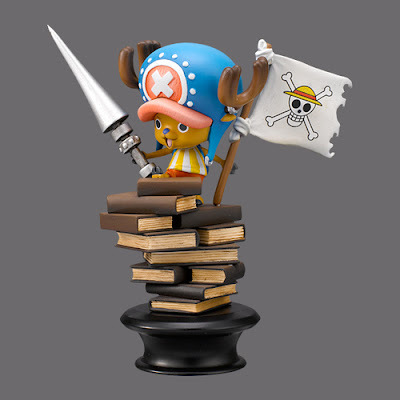 And, last but not least, Chopper takes the place of the pawn. Where can you buy a set? how about the others? 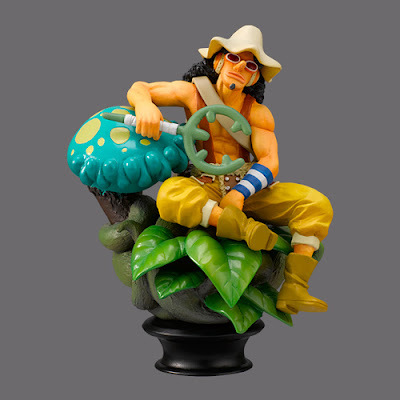 i thought it was complete one piece cast and the enemies are included..
Where can I buy this set? My husband is a huge fan and I cant find it. Please help!